Meditation is often considered a self-contained activity, different from our actual life. More accurately, meditation is training for life. But most profoundly, meditation is life itself—not just any life, but our own most intimate and secret life. Meditation discloses our truest life process, its incomparable awareness, energy and movement. In fact, sitting on the meditation cushion, we can be living far more fully and profoundly than at any other time. In our ordinary, daily lives, we are usually preoccupied with trying to be a certain kind of person and having a certain kind of life. We seek something that is comfortable, secure and gratifying. We try so hard to craft our lives toward this end because we are quite aware that under the surface a more real existence is going on. Sensing the danger and choicelessness of this, our genuine life, we hope that another life, one of our own fabrication, will be easier and less demanding. In meditation, however, the veneer of this false life is gradually put aside and we come upon the fresh, unprecedented existence that was always with us. Meditation, then, can show us our true and genuine life, with its freedom, its abundant creativity, and its joy. I would like to illustrate this theme by describing a group meditation retreat in which I recently participated. This was a thirty-one day meditation intensive held during the winter holiday break at Rocky Mountain Shambhala Center in the mountains of northern Colorado. Here is how it unfolded. In mid-December, 150 people made their way to the retreat center up the steep mountain road from the plains below, driving gingerly over the snowpack and ice. 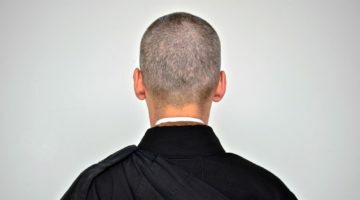 In a program like this, the first experience is one of apprehensive uncertainty and the first “dharma,” or teaching, is trying to establish one’s ground and security within the new situation. Everyone found where they were supposed to sleep, unpacked their gear, and went through an orientation. They located their seat in the meditation hall, which is situated in an upland valley of meadows and aspen groves surrounded by mountains. Our physical space established, we began to meditate and found ourselves quickly setting up our psychological ground—our customary preoccupations, our familiar hopes and fears, our habitual patterns of experiencing (and avoiding) our world. 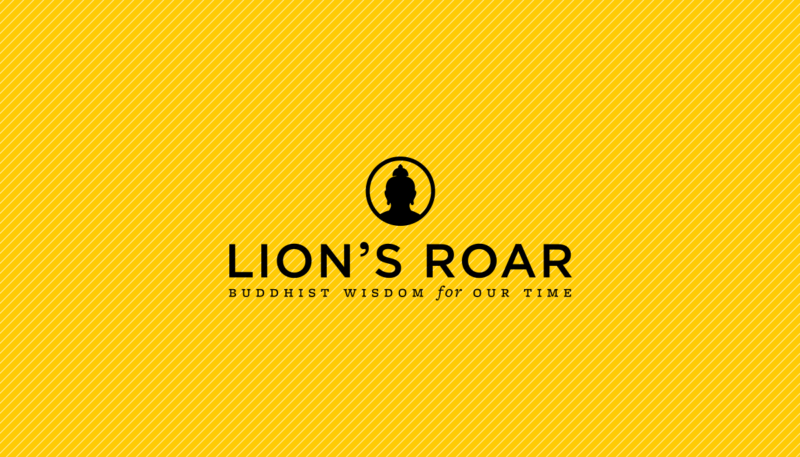 The last aspect of finding our ground was wanting to know what was expected of us and wanting to “get it right”—taking the right sitting posture, adapting to the discipline of not speaking, practicing mindfulness of breathing during our sits, and adhering to the rigorous schedule of meditation from before dawn into the evening. Gradually, we began to feel secure within our new situation. But security, when it is well-established, can quickly turn into a claustrophobic prison, particularly if there are no distractions to provide diversion. Without a lot of opportunity to move around, muscles seemed perpetually sore, rear ends ached, and our neighbors’ close proximity became uncomfortable and irritating. Restricted as we were for hours on end to our small, rectangular mats, with only infrequent opportunities for walking meditation, the sense of being hemmed in gradually increased. Over time, without anything else to do, we began to suspect that the practice does not get rid of unwanted experience so much as clarify it so that we know, beyond any doubt, what we are going through. With alternative routes cut off, we began to pay closer attention to the feeling of confinement and hot frustration. And, without hardly realizing it, we began to explore it. After a certain period of time—perhaps around the end of the first week, or was it the second week?—a subtle shift occurred in the meditation hall. Ever so gradually, the environment within which we felt so claustrophobic began to make itself known. This grew in stages. In the beginning, when we entered the room for the first morning sit, we might sense the utter stillness of the place, before dropping into our habitual world of thoughts. Later, we would be sitting, churning through another obsessive fantasy, and we might suddenly become aware of the silence surrounding our mental activity. Later still, perhaps at the end of the day, completely worn out by the compulsive activity of the discursive mind and with the effort of returning endlessly to the breath, we might just give up and find ourselves sitting in perfect stillness, aware of the soft breathing of the meditators around, the flickering light of the candles in the room, and the sound of wind hissing gently in the pines outside. The more we felt the silence of the meditation hall, the more it seemed this was not ordinary silence. Usually silence is an uncomfortable gap between thoughts, an awkward hiatus between words in a conversation, an irritating interruption of our projects. But the silence in this room was different: it had depth and completeness, and it was utterly satisfying. It was as if, within this profound stillness, nothing had ever happened and nothing needed to happen. And yet at the same time, it was open and unobstructed, providing all the room in the world for anything that any of us might go through. The silence was not ordinary in another way: it was not an absence of anything, but rather alive, vibrant and awake. In fact, it seemed inseparable from awareness itself. Somewhere in here, we began to experience a reversal of perspectives. In the first days of the retreat, we felt unnaturally jammed into this tiny space with all these other unsettling and irritating people. Much time was spent longing for the wide open spaces of the world outside and all its enticements and distractions. But now the space within the meditation hall gradually began to feel much bigger than all the territory of the world outside. For here we were utterly free to feel our own existence and to explore the boundless territory of our own experience—this in contrast to the suffocation of the outside world with its endless repetition of compulsive patterns where nothing fresh or new can occur. Such unfathomable, endless space implies solitude. One afternoon as the snow, driven by gusts of wind, swirled and rapped against the windows, I felt that in some very real sense, everyone in this shrine room was utterly alone. It was as if each of us were a galaxy unto him or herself, slowing revolving in space. Between each of us and the next person was a vast and unbreachable gulf. Each of us was making some kind of solitary journey and over there, light years away, was another galaxy slowly going through its own mysterious life. The dharma is silence, but the dharma is also laughter and tears. Within the boundless, empty space of this room, periodically laughter would erupt. Perhaps someone could not bear the endless silence any more and, with nervous and shallow giggling, would force an interruption within the seamless expanse. Or perhaps something really funny would occur: a bird might perch momentarily on a window, tap the pane with its beak as if to say, “Is anyone in there?” and fly away. Then the laughter would be spontaneous and joyful, because we had all witnessed a moment of life’s unexpected magic. The Buddha’s dharma is also tears. Someone across the room would fall into barely audible weeping. At first, there might be irritation that our meditation was being interrupted. But this could not help but turn to sympathy for grief that could not be contained. Finally, it might seem that one’s dharma brother or sister was expressing the grief of all beings everywhere, caught in cycles of pain and confusion and not knowing how to manage. At one such moment, I thought of Buddha Shakyamuni who, after his enlightenment, surveyed the world and saw beings everywhere wailing with the torment and misery of their condition. At that moment, so it is said, his heart burst forth in compassion. All of us hearing the quiet weeping felt our hearts melt. 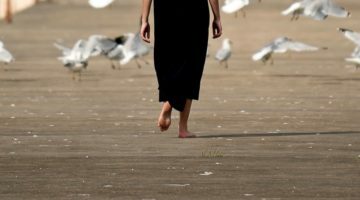 Touched by the bravery of a fellow practitioner who was willing to show, just a little, the pain of his or her journey, we could only let go of our self-preoccupation and let our minds fall into tender stillness. In the silence and vast spaces of retreat, we discovered another way to live. Here we found the truth, at first unwelcome, that the central experience of the retreat was waiting—waiting for a turn in the bathroom, waiting for a delayed lunch, waiting for the next gong to ring so we could walk, waiting for the gong to end walking so we could sit again, waiting for the end of the sitting, waiting to be able to return to sitting, waiting, during the inevitable sleepless nights, for the dawn and yet not wanting it to come. Overall, we were waiting—in vain, it turned out—to find the “thread” of the program, its truth, its reality, its ground. Most of all, there was the waiting that is the heart of meditation: following the breath and waiting. Waiting for what? Just waiting, waiting without end, as a way of being. When our life emerges strictly from our conscious intentions, there is not much of a journey to be made. 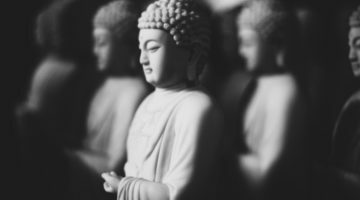 But when we can realize the inapplicability of our ideas about who we are and what we need to be—our “non-existence,” in Buddhist terms—then our genuine life can disclose itself unimpeded. The retreat was, despite its 150 participants, an experience of aloneness, of coming fully into the solitary journey that is our true life. But because of that, it was also an experience of intimacy and community. It was an expression of intimacy to suffer through hours of silent sitting with dharma brothers and sisters and to experience their unchecked laughter and tears. It was an intimate experience to catch a glimpse of naked anxiety, grief or joy in the face of another. What a surprise that, in the midst of such an intensely solitary and silent journey, a strong and genuine sense of community could spring up of its own accord. Intensive meditation retreats can thus show us, in a relatively brief period, how profound and intense our life wants to be. Utterly beyond sentimentality, beyond anything special or specific at all, such retreats push us to a nakedness of experience that we ordinarily fear. Attempting to secure one’s ground, the receding horizon of the “healthy ego” everyone talks about, is not to be abhorred; it is the first stage of practice. From that emerges an experience of claustrophobic imprisonment within our own habitual patterns. This disquieting and often depressing experience gives birth to inspiration for the openness offered by meditation practice. Over time, this leads gradually, even imperceptibly, to an experience of stillness and space that surrounds and holds our neurotic struggling. As we continue our practice, we come to discover this underlying silence as awareness itself, and we begin to identify with it more and more fully. Through this process, we begin to learn how to wait, in emptiness, for the emergence of our true life. We discover genuine intimacy with our fellow practitioners and, eventually, with all sentient beings, and experience the birth of true compassion. We find ourselves increasingly able to remain in the profundity and intensity of our true lives, even in our most mundane, day-to-day activities. In this way, intensive group meditation retreats can disclose to us the lifelong, dharmic process we are engaged in, deepening our experience of the journey and showing us the end, even in the very beginning.